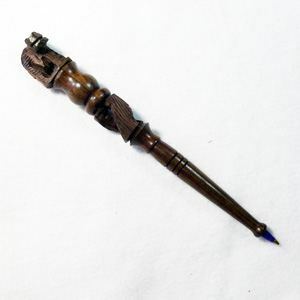 This hand carved wooden pen is a true work of art. 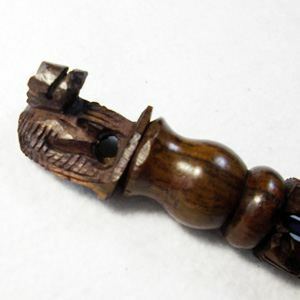 It is carved out of one piece of dark ebony wood and has been intricately carved and then polished to perfection. A hippo sits on the top of the pen. Please take a look at the detailed photo to get an idea. The pen is refillable with any common refill. Approx. size: 1.5 cm in diameter (middle of the pen), 17 - 19 cm long. 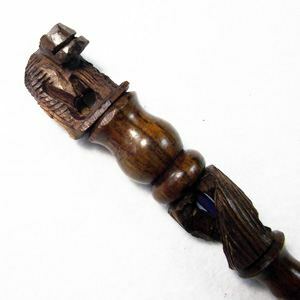 All wooden pens are handmade, are therefore unique and can vary in size, appearance, colour and shape.